The rent you currently pay could be building equity in your own home. 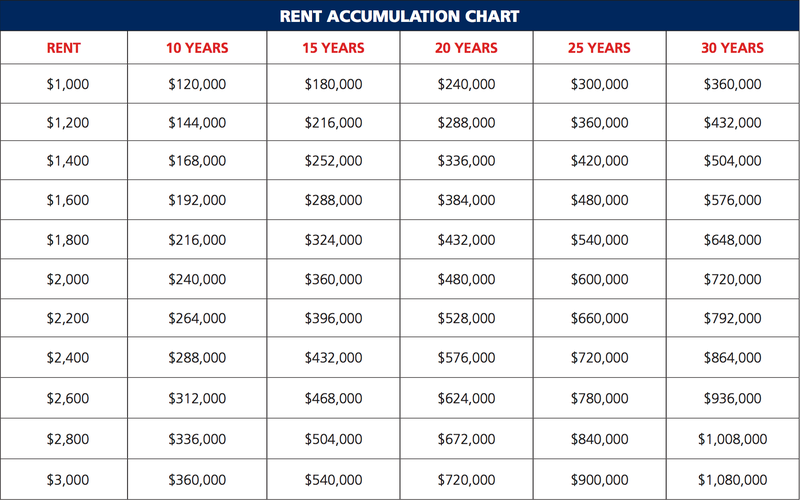 The money spent on rent over a period of years adds up to a sizable sum. The chart below provides a complete total of how much of your money is wasted.